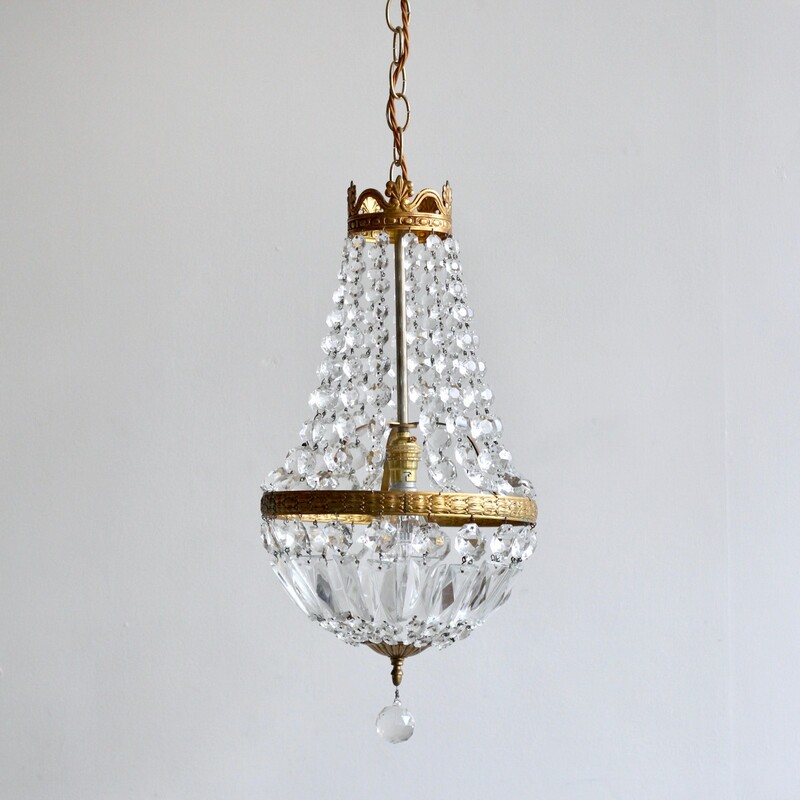 Small balloon chandelier with strings of glass buttons and crystal coffin lids. Uses single BC, B22 fitting. Supplied with chain and ceiling rose.